wild horses as varmints. In this update to this classic story, Ryden tells of the successes and failures of regulation, and includes stunning color photographs. 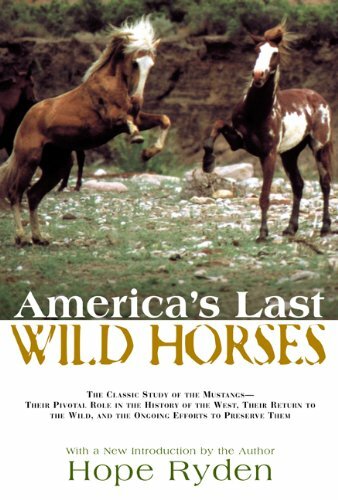 The subject of a front-page article in The New York Times when it was first published, America's Last Wild Horses continues to be a compelling testament to the life of a uniquely American symbol of grace and wildness, and is a must-read for horse lovers and Western history enthusiasts everywhere. Hope Ryden has written four nonfiction books on wild horses, and her articles and photographs on the subject have appeared in National Geographic and other publications. She is also the author of the novel Wild Horse Summer. Ms. Ryden lives in New York City and Wolf Lake, New York. Who Owns the Wild Horses?